Clothing worn my members of an organization while playing in the organization's activity. 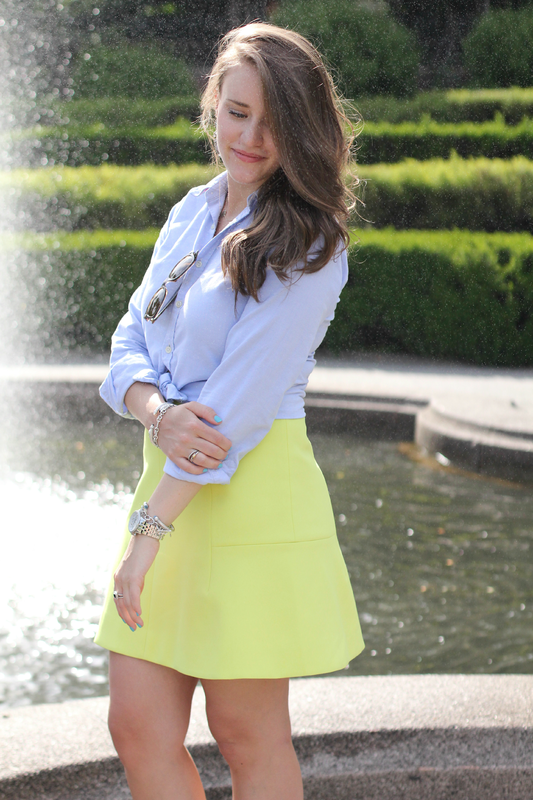 This skirt has become part of my summer uniform and I really can't get over how much I love it! I decided to do something a little different (different for me at least) and tie the bottom of my Ralph Lauren oxford together. I love the way the blue and the citrus compliment one another. 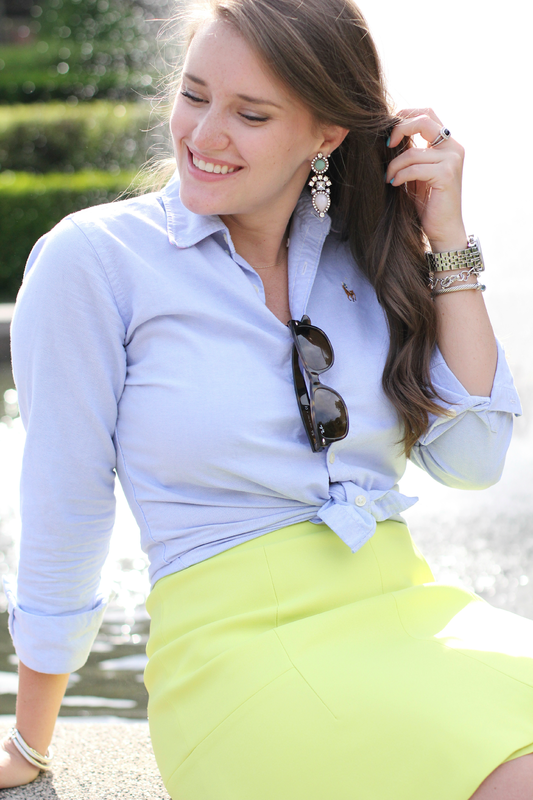 This oxford is basically my closet's idea of a chambray shirt. It's the perfect mix of a chambray and a classic blue (aka dress it up and down). And how amazing are these photos from the Central Park Conservatory Garden?? I need to get back up there ASAP. I love that place. It's so far up in the city that there are barely any people (tourists) there. If you ever find the time, I really suggest heading up that way. I need those earrings in my life ! Beautiful photos. literally just wore this exact outfit two nights ago at work training and then am wearing it again today with a different top haha. lime skirt and tied shirt and everything!! 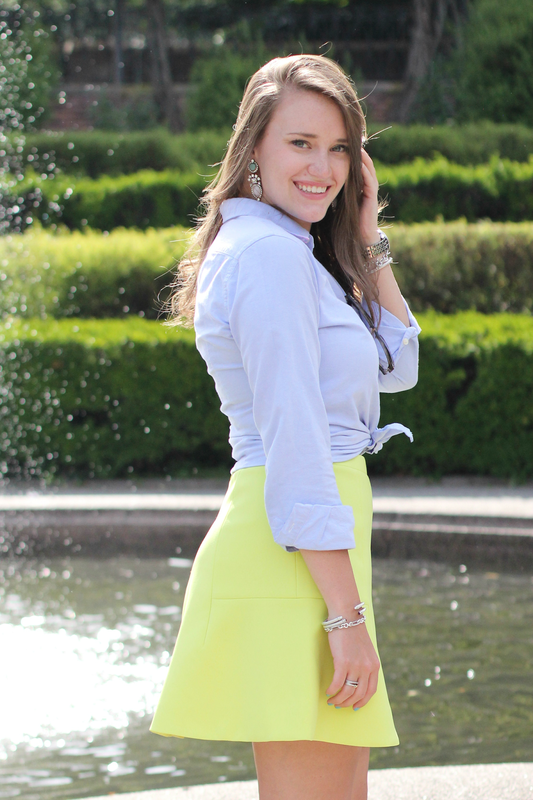 Love, love, love the light blue shirt with the lime skirt! Perfection!